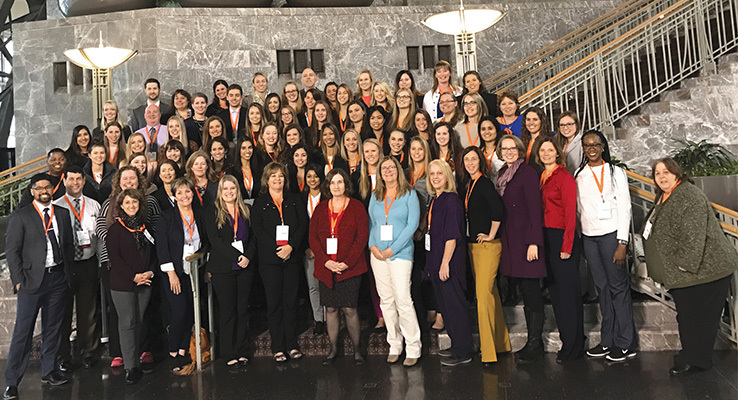 During Occupational Therapy Month, several faculty members from the University of St. Augustine for Health Sciences (USAHS), a leading graduate institution that emphasizes innovative health and rehabilitative sciences education, will share their research at the 2018 American Occupational Therapy Association (AOTA) Annual Conference & Expo in Salt Lake City from April 19-22. USAHS will be exhibiting at booth 1923. In 2017, USAHS celebrated 20 years of offering occupational therapy programs. Today the university offers the Master of Occupational Therapy (MOT), entry-level Doctor of Occupational Therapy (OTD), and post-professional Doctor of Occupational Therapy (PPOTD), as well as continuing professional education for occupational therapists. April 19, noon to 1:30 p.m.
April 21, 3:30 – 5 p.m.
April 21, 1:30 – 3 p.m.
April 19, 8 – 10 a.m.
April 19, 10:30 a.m. – 12:30 p.m.
April 19, 1:30 – 3:30 p.m.
April 20, 9 – 11 a.m.
April 20, 3 – 5 p.m.
April 21, 11:30 a.m. – 1:30 p.m. The University of St. Augustine for Health Sciences (USAHS) is a graduate institution that offers degree programs in physical therapy, occupational therapy, nursing, education and health science, as well as continuing education programs. Founded in 1979, USAHS has locations in St. Augustine and Miami, Florida; San Marcos, California; and Austin, Texas. USAHS is regionally accredited by the Western Association of Schools and Colleges Senior College and University Commission. USAHS completed a rigorous assessment by B Lab®, an independent non-profit organization that serves as a global movement of people using business as a force for good, and became a Certified B Corporation®. USAHS is a member of the Laureate International Universities network and Laureate Education, Inc. is a Certified B Corp® – the largest corporation ever to become a B Corp™. For more information about USAHS visit www.usa.edu.